7 Reasons Why Yoga & Barre Are Like Peanut Butter & Jelly? Discover the reasons, why hundreds of Yoga Instructors already chose to get Barre Certified! Barre will Strengthen Your Core Quickly – The high numbers of reps focus on the muscles in the core – the buttocks, abdominals and trunk. The movements you do in Barre use “pulsing” until your muscles get tired. The fact that your muscles are worked until they are tired helps you grow core strength – fast. This complements your yoga instruction well. A strengthened core, as you know, can help students reach positions like the side plank easier. While your students’ cores get stronger quickly, yoga will lengthen the obliques, back and abs with positions like the boat pose. With a strengthened core, you can use yoga poses like the dolphin to open up the spine, tone the shoulders and work your abdominal muscles – all at the same time. Barre Will Help Your Students Focus. You know that to practice yoga successfully, you need to focus. While your students do physical movements, they inhale and exhale, concentrating on the pose. After a good yoga session, meditation and mindfulness are used to mesh yoga into students’ lifestyle. Barre sharpens focus and helps your students get on the fast track by being a detail workout. Barre students usually say that when they are focusing on their muscle work, they get to escape day to day’s problems. Barre Helps Your Students Understand that the Body and Mind Are Connected – Barre uses smaller movements that bring on an awareness of your body that can’t be achieved in other workouts that build up strength. 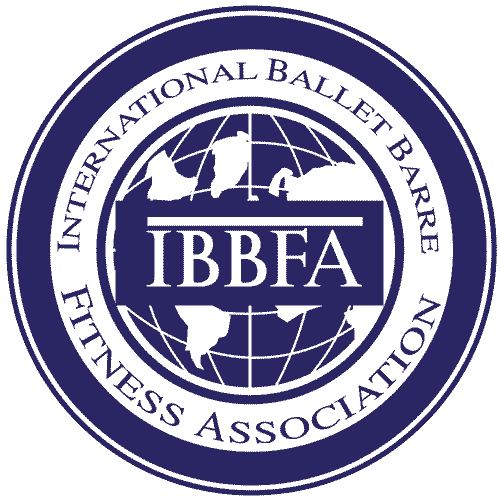 The key to building strength in Barre is by activating underused muscles, this strengthens the connection of the body and mind. We know that yoga has a track record of connecting the body and the mind, and the faster you can do this, the faster you can excel. Your students are interested in yoga because of its calming effects. They want to respond to stress more productively. They want to slow down the aging process. Connecting body and mind is key to gain these benefits. Barre will help your students reach these results sooner. Yoga and Barre Condition the Muscles at the same time – Barre uses the small motions, pulses and squeezes we mentioned. Students work their muscles until they are tired, whipping them in to shape and toning them up. This is why it’s a great compliment to yoga, with it’s isometric contractions and breathing. Barre and Yoga Embrace the Same Concepts. These two fitness programs embrace the same mentality. Students interested in yoga are interested in Barre. That means more students. Barre and yoga both embrace a positive attitude, encouragement and openness to anyone who wants to try it! The audience for Barre is huge. The small movements it incorporates can limit or expand the range of motion, catering to everyone’s personal needs. Beginners, athletes, men, and even pregnant women can enjoy the benefits of barre and yoga. Yoga is adaptable. That is why it is so popular. Barre can also build your student base. It offers a variety of options, just like yoga. We know that everyone has strengths and weaknesses. Barre teachers are intuitive enough to offer helpful hints without making class members feel bad. If you are intuitive and talented enough to be a yoga instructor, you are intuitive and talented enough for Barre instruction. It is easy to see how Yoga and Barre compliment each other. It is also easy to see how Barre can put your yoga students on the fast track for success. Barre instruction will have you taking on more students. It will help your current students succeed in yoga. Teachers who understand success understand that Barre is the perfect compliment to yoga. Yoga-Barre Information PDF to share with your friends!